18 March, 2017, 5 pm. Rupert is pleased to invite you to attend the second event of a new talk series focusing on contemporary art and collecting. This month our programme guest is Riga-based collector, curator, entrepreneur and philosopher Maris Vitols. During this event, conversation will centre around the topics of the international art market, the context of collecting, with particular focus to the Eastern and Central European region, and of the role of collector as an active curator. The conversation will be accompanied by a video screening of works from the Vitols’ collection: Jesse Fleming’s “The Snail and the Razor” (2012) and Artur Zmijewski’s “Singing Lesson 1” (2001). The event will take place on Saturday, 18 March at 5 pm at Pakrantė (79 Vaidilutės st.). The talk will be moderated by Rupert’s Director, curator Juste Jonutyte. Maris Vitols is a Latvian art collector, curator, entrepreneur and philosopher based in Riga, Latvia. Together with his wife Irina, Maris began collecting in early 2000’s. The Vitols family collection currently consists of more than 1,000 works by over 200 artists. The contemporary art collection comprises of works by international artists from Eastern and Central Europe, including Janis Avotins, Olga Chernysheva, Vadim Fiškin, IRWIN group, Žilvinas Kempinas, Eva Kotatkova, Oleg Kulik, Goshka Macuga, Deimantas Narkevičius, Kaido Ole, Roman Ondak, Adrian Paci, Pavel Pepperstein, Wilhelm Sasnal, Nedko Solakov, Jaan Toomik, Artur Žmijewski, among other artists. The Collection loans works internationally to museum exhibitions. Since 2011, Maris Vitols has also started his practice as an independent curator. Curated exhibitions include a show by Olga Chernysheva at the Riga Art Space (2014), the exhibition by Deimantas Narkevičius at the former KGB headquarters in Riga (2015) and the international group exhibition “Paraphrases” at “VARTAI” gallery in Vilnius (2016). 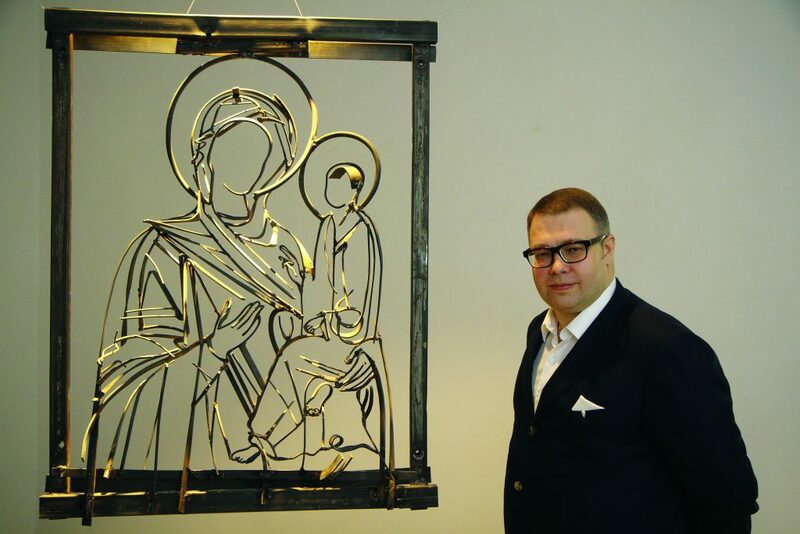 Upcoming art events curated by Maris Vitols will be the exhibition by the Polish artist Artur Žmijewski at the Paul Stradins Museum for history of medicine in Riga in June 2017 and the exhibition by Latvian artist Janis Avotins at the “VARTAI” gallery in Vilnius in 2018. Since 2015, he is a Director of the non-profit organization “Latvia Cultural Projects”.